In order to experience first hand how China educates its young people to become their country's leaders, this superb 5 part DVD series provides invaluable information on the dynamics of Chinese education for preparing students to take on the mantle of government. 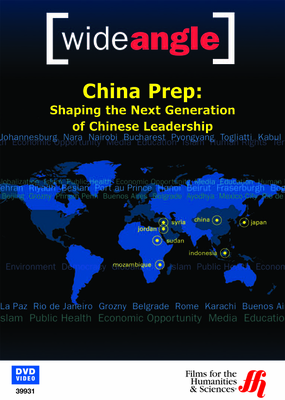 A 5 part DVD collection on training the new China's next generation of leaders, reveals the modern underpinnings of Chinese management and leadership styles. China has taken its heritage for creating the best civil servants in the world and turned it into a top notch technical system to instruct young people in the last year of their schools. Students who successfully complete this arduous training will obtain a coveted spot in one of China's elite Universities, home to the nation's corporate executive, lawyers, doctors, and civil servants.